Are you surrounded by constant noise at work? Maybe you are an airline worker who is exposed to the sound of jet engines, or a factory worker who is surrounded by loud machinery all day. No matter what your job is, you may not be aware of how much your noisy work environment is damaging your hearing. Recently, the University of Michigan examined hearing loss among a group of workers in the auto manufacturing industry. The study showed that more than half of factory workers who thought they had good hearing actually suffered hearing loss and didn’t know it. These workers had used precautions to try to limit exposure to noise while on-the-job, but clearly these precautions could be improved. OSHA recognizes this issue and has suggested that employers soundproof noisy workplaces. The proposal was later denied because of how much it would cost. This lack of protection may end up causing you to lose your hearing. If you have work-related hearing loss or have been denied the necessary treatment, it is important to contact a NJ workers’ comp lawyer. New Jersey Workers’ Compensation law recognizes work-related hearing loss as a form of occupational exposure. If you are exposed to an outside influence that caused you to suffer an injury or medical condition, you may be entitled to benefits. You can file a workers’ compensation claim within two years of your ailment’s diagnosis and the time that the ailment is connected to your workplace. 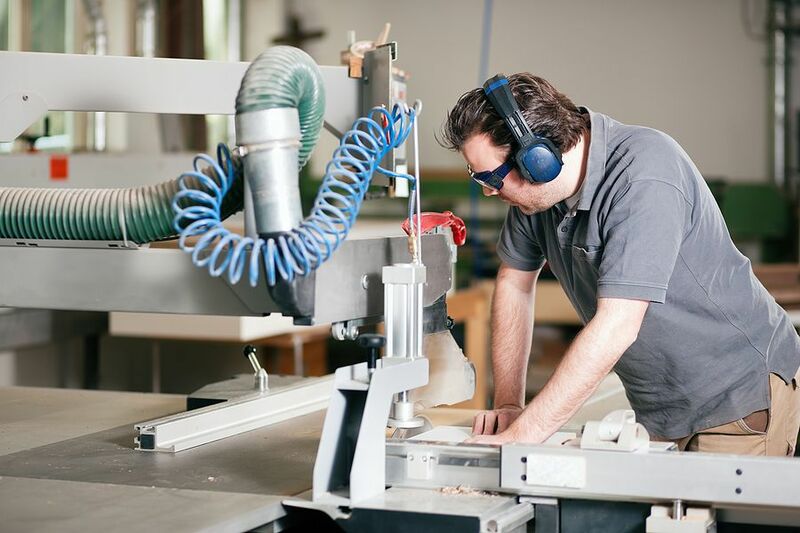 If you are a New Jersey worker and suffer from on-the-job hearing loss, don’t hesitate to contact a Morristown Workers' Compensation attorney today. Manfred F. Ricciardelli is on your side and can get you the benefits you deserve to help cover the cost of your treatment. Call our office at 973-285-1100 to set up a meeting to talk about your case.